We are proud to announce the launch of our new website. A brand new online identity, underscoring our position as a leading supplier of custom-made process instrumentation products for nearly all hazardous areas or environmental conditions in the world. Our website sheds light on our new motto: Your success counts as it is our goal to provide you with the optimum equipment to accurately transmit, convert, process, display and monitor any desired process variable. The F190 General / Multi Purpose Monitor is a smart display that can perform a number of functions. Besides the focus on level, temperature and pressure applications (e.g. °C, °F, Bar, L, m3), the F190 can also work with other measuring units, such as: %, mA, RPM and more. Due to continuous improvement, our F-series portfolio has recently changed. We introduce the new F190 General Purpose Monitor that replaces several discontinued products. Moreover, we conducted several software adaptations. 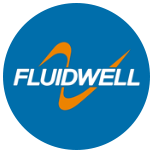 The Fluidwell E126 Explosion-Proof flow computer provides unequalled safety and ease of use. Opening covers is history. The through-glass keypad enables operability without interruptions. E126 is designed to withstand the harshest conditions. F-Series: Even a truck can stand on it!